As a dangerous cartel war erupts in the Mexican border city of Tijuana, a total of 2,000 homicides were reported by government officials in the first ten months of 2018, said Frontera.info, a local Mexican news agency. As of Saturday, a total of 126 homicides were recorded for October, with the new total coming in at 2,005 killings for the year, as per the Attorney General's Office of the State (PGJE) report. "I believe that there is still a lack of coordination of the authorities of the three orders of the government; this coordination requires the political will and the main one must be the Governor of the State, that the corresponding work be done to have results also in the matter of homicides (translated in English via Google Translator)," said the head of the Citizen Council of Public Security of the State (CCSP), Juan Manuel Hernandez Niebla. "What has been happening in this time is the empowerment of a criminal group that has gained more strength; they began to hear the presence of a foreign cartel and even the authorities do not have much information, it was said that there was no presence and suddenly we realized that there was a presence, even before this administration (translated into English via Google Translator)," Amezuca explained. 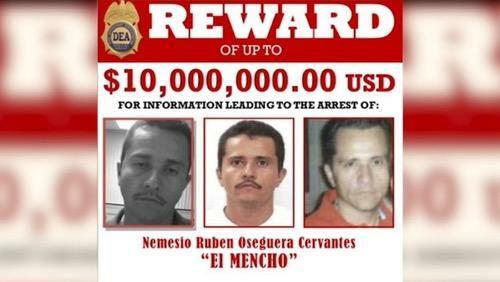 Nemesio Ruben Oseguera Cervantes, 52, known as "El Mencho," is a fugitive and labeled as a major "Kingpin" under the Foreign Narcotics Kingpin Designation Act by the U.S. Department of the Treasury in April 2015. The cartel's primary business is running methamphetamines into Los Angeles, New York, and Atlanta. Experts have said, "El Mencho" is primarily the reason for the violent flare-up in Tijuana. 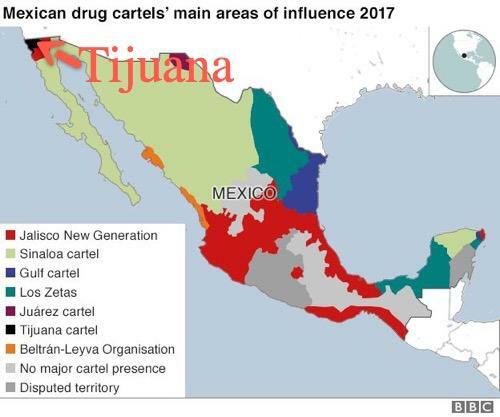 Drug cartels have recently launched a cartel war for control of Tijuana because of its strategic importance of transporting drugs into the U.S. In August, the U.S. Drug Enforcement Administration unveiled a few strategies to combat drug cartels with the Mexican government, military, and the federal police. These plans called for attacking cartels' financial structure and the creation of a new enforcement program based in Chicago that monitors international investigations of cartels. 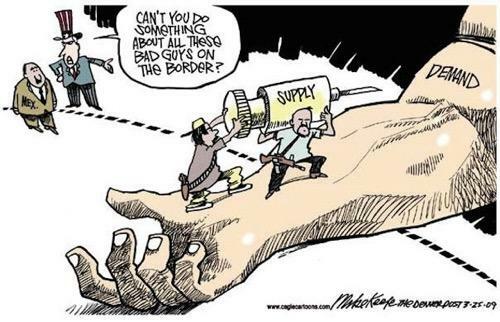 As long as the American addiction crisis continues to spur demand of low-cost drugs from Mexican drug cartels, the war over US market share between cartels will only get worse.